DAC proudly offers drywall installation to homeowners and business owners alike in the greater Baltimore and Washington D.C. metro areas. Outside of traditional residential or commercial drywall hanging and finishing, we focus on drywall patching repairs caused by water damage. We are also garage, bathroom or basement remodeling and finishing experts. 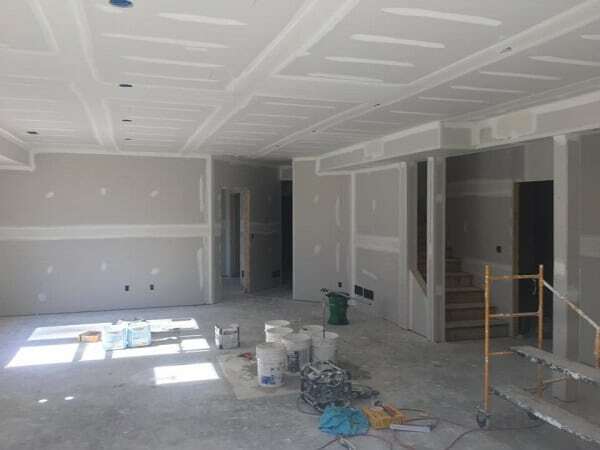 With over 20 years in the industry, our drywall installation experts have the knowledge and craftsmanship to provide your drywall project with an exceptionally smooth level 5 finish. At DAC Construction, we provide more than just standard drywall installation or repair. We can provide solutions for soundproofing, fiberglass materials, popcorn ceiling textures, orange peel spray textures, knockdown textures, and more. Our attention to detail ultimately results in craftsmanship that is functional, dependable for years to come, and artistically finished. If you have any questions regarding our drywall services or if you would like to schedule a free consultation for your next project, please contact us at 240-286-4695 today. DAC Construction provides drywall installation and repair services to Laurel, Fort Meade, Odenton, Bowie, Crofton, Upper Malboro, Silver Spring, Burtonsville, Kensington, Chevy Chase, Glen Echo, Bethesda, Potomac, Rockville, Gaithersburg, Spencerville, Columbia, Fulton, Highland, Ellicott City, Clarksville, Glen Burnie, Pasadena, Severn, Annapolis, Baltimore City and Washington DC.